NEWARK, N.J.--(BUSINESS WIRE)--Yanela Frias has been named head of Prudential Retirement’s Structured Settlements business. A financial services industry veteran, she has worked across Prudential Financial’s businesses (NYSE: PRU), most recently serving as the chief financial officer for Prudential Annuities. Frias will oversee the strategy, growth and operations for Prudential Retirement’s Structured Settlements business, which helps provide income products to people who receive legal judgments, often because they have been injured and can no longer work. She reports to Phil Waldeck, head of Retirement’s Investment & Pension Solutions. Her appointment is effective immediately. 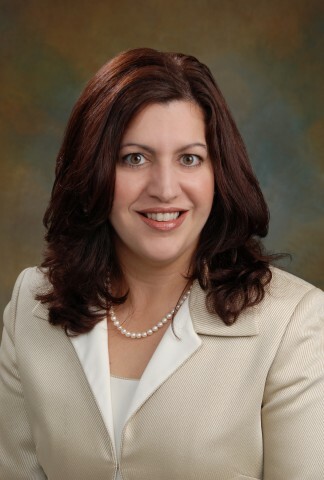 Frias joined the company in 1997, first working within the company’s external financial reporting group and then holding several positions in the Treasurer’s organization before joining the Individual Life Insurance business as chief financial officer during Prudential’s acquisition of The Hartford’s life insurance business. Replacing Frias at Prudential Annuities will be John Chieffo, who most recently served as chief financial officer in the Individual Life Insurance business. Yanela Frias has worked at Prudential for 20 years. Before joining Prudential Retirement’s Structured Settlements unit, Frias was the chief financial officer of Prudential Annuities. Earlier, she was the chief financial officer of Prudential’s Individual Life Insurance business. Known throughout the industry, she was named one of the top 40 people to watch in Treasury & Risk magazine’s annual “40 Under Forty” rankings in 2011. She earned an MBA and a bachelor’s degree in accounting from Rutgers University. Prudential Financial, Inc. (NYSE: PRU), a financial services leader, has operations in the United States, Asia, Europe and Latin America. Prudential’s diverse and talented employees are committed to helping individual and institutional customers grow and protect their wealth through a variety of products and services, including life insurance, annuities, retirement-related services, mutual funds and investment management. In the U.S., Prudential’s iconic Rock symbol has stood for strength, stability, expertise and innovation for more than a century. For more information, please visit http://www.news.prudential.com/. Structured settlement products are insurance contracts issued by The Prudential Insurance Company of America (PICA), 751 Broad Street, Newark, NJ 07102-3777. © 2016 Prudential Financial, Inc. and its related entities. Prudential, the Prudential logo, the Rock symbol and Bring Your Challenges are service marks of Prudential Financial, Inc., and its related entities, registered in many jurisdictions worldwide.